Our indoor lily plant is a delightful gift that is simply perfect for all occasions, both for home use and to send as a gift to your lucky recipient. The plant is presented in a pot and stylishly wrapped in florist wrap. The plant is long lasting all year round and is easy to look after. 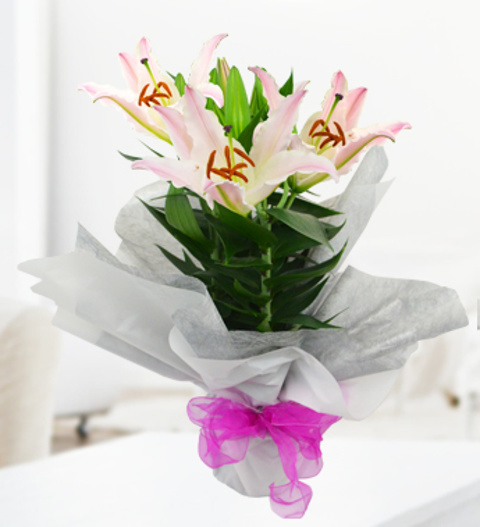 The lily plant is available for UK next day delivery and comes with a FREE box of delicious chocolates.